Photographed their wedding 5 yrs ago…now they have a 1yr old! I photographed Sharon + Lawrence’s wedding 5 years ago at the Armour House in Lake Forest! One image from their wedding won an award at international competition! Last week we reconnected for a session with their 1 year old son! It’s always great to catch up with past clients…especially when they have added on to their family! To see more of their wedding photos…check out their Armour House Wedding Blog Post! 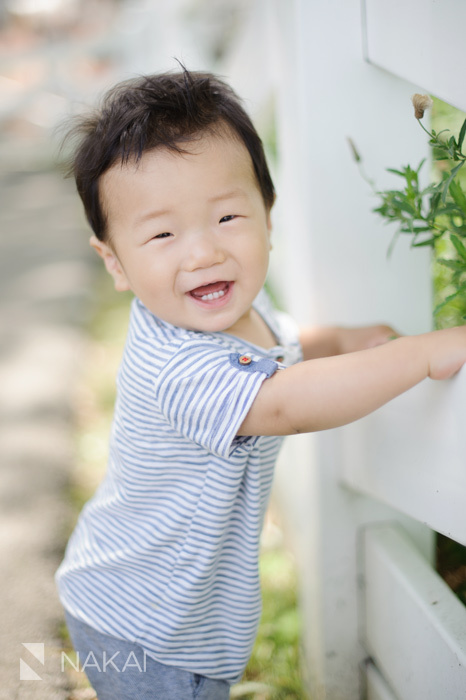 There are so many great photos from their family session…it was hard to pick which ones to post! Here’s one of my favorites with the Chicago skyline! 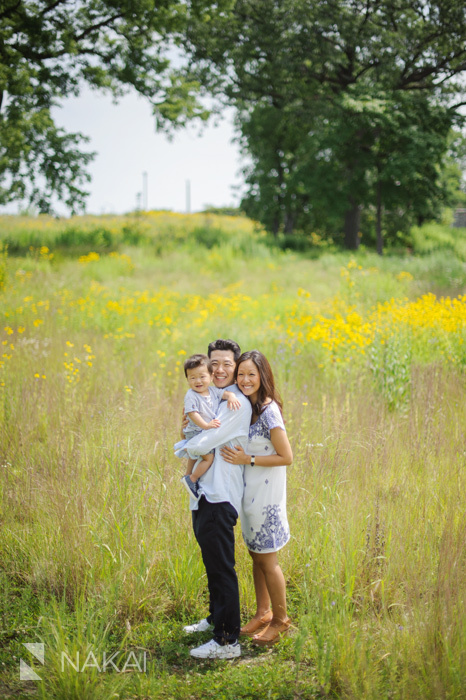 I love this field of grass and the yellow flowers in the background – makes for a lovely family portrait! 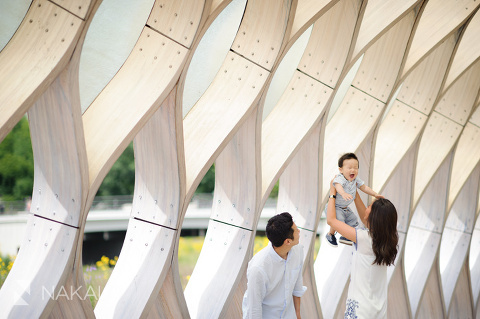 Had to shoot at the honeycomb structure in Lincoln Park – I like the patterns and the lines…and Sharon got quite a workout tossing him up and down…b/c we definitely didn’t get this expression on the first photo! One day…those cheeks will be gone- but until then…mommy is gonna squeeze them! 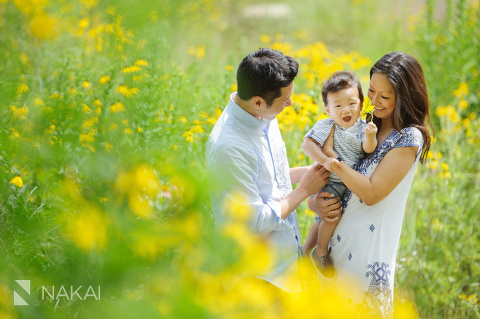 Thanks Sharon + Lawrence for stopping by for a family photo session! It was great seeing you both again…and little T is so adorbs! Let’s do it again sometime! « Floating World Gallery – Wedding Photography Slideshow – Lisa + Ken!